The Barceloneta district is at the foot of the great beaches of Barcelona. This district has a great atmosphere of leisure and excellent services. It is known for having been a fishermen's quarter and keeps some old traditions. La Barceloneta has several places of interest, including the Museum of the History of Catalonia and the Clock Tower. Also in this magnificent neighborhood, it is possible to take the cable car to reach the Mirador de Miramar and be able to contemplate the entire port. 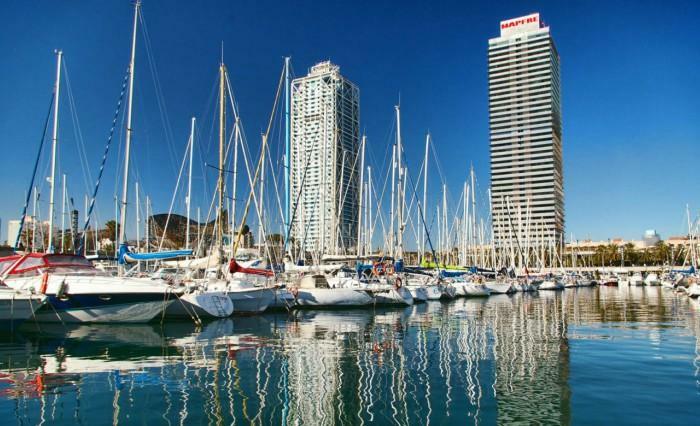 In addition, just a few steps from the Barceloneta, in the Port Vell we find a large shopping center, Maremagnum. 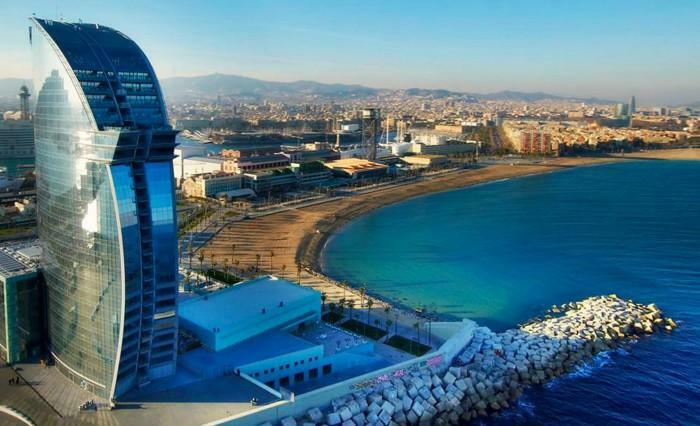 La Barceloneta also has modern 3D IMAX cinemas and the Barcelona Aquarium. It is a very tourist neighbourhood thanks to its proximity to the beach and its wide range of leisure activities. The Olympic Port was built for the 1992 Olympic Games. This is a marina that is located in front of the Olympic Village, between the beaches of Barceloneta and Nova Icària. Nowadays, it has become a tourist and leisure centre of the Catalan capital. During the day you can eat in any of the various restaurants and at night you can enjoy the wide and fun nightlife. In the Olympic Port we find two skyscrapers very characteristic of the area, the Torre Mapfre and the Hotel Arts. In addition, at the foot of the skyscrapers, is the emblematic golden sculpture in the shape of fish and near this, the Gran Casino de Barcelona. Montjüic owes its name to an old Jewish cemetery in the mountains. The Castle and the Magic Fountain are some of the great attractions of Montjüic. Not only have these places of interest but also in this neighborhood you can visit the National Museum of Art of Catalonia, the Joan Miró Foundation and the Poble Espanyol. Finally, due to the celebration of the 1992 Olympic Games, the so-called Montjuïc Olympic Ring was created in this neighbourhood. It is formed by the Olympic Stadium Lluís Companys, the Palau Sant Jordi, the Telecommunications Tower and the Bernat Picornell Swimming Pools. 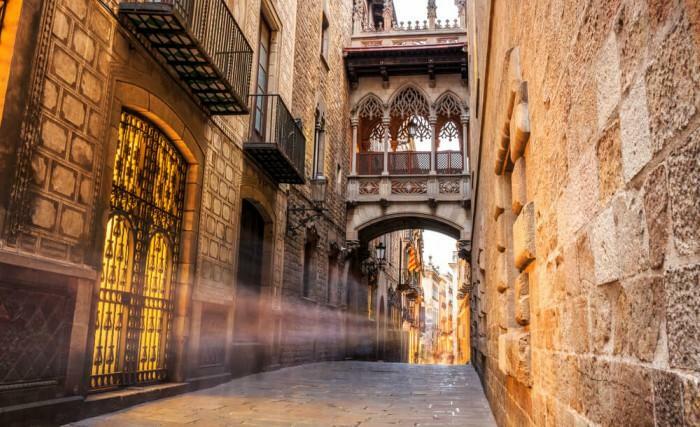 The Gothic Quarter is the central element of the Ciutat Vella municipal district, the old quarter of Barcelona. In this magnificent district, you can find a large number of bars, restaurants and shops. Therefore, the area has permanent animation until well into the night. In the Gothic quarter we find several places of interest such as the Cathedral of Barcelona. Also in the Gothic Quarter is the Plaza de Sant Jaume, where the Town Hall and the Palace of the Generalitat de Catalunya are located. In addition there are two very important museums; the Museum of the History of the City and the Frederic Marès Museum. On the other hand, Portal de L'Angel Street is well known for its various shops. 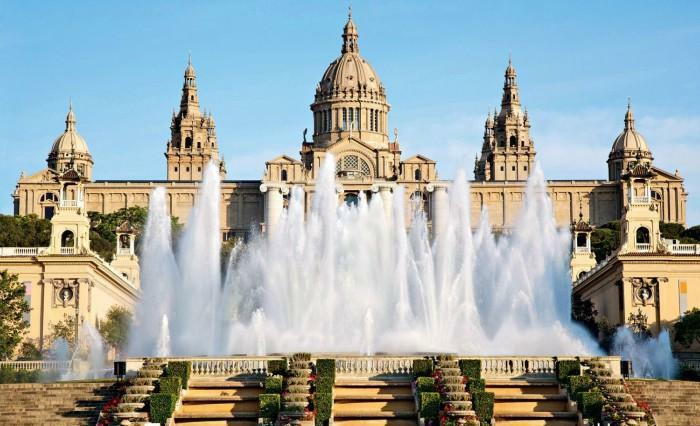 This central district of Barcelona is a 'must' that you can not miss. To know the best neighborhoods of Barcelona stay in Midtown Luxury Apartments, the best apartments, central and very well connected if you want to move with public transport.